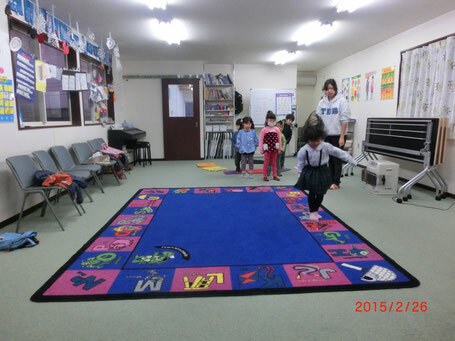 Our largest classroom is used for the preschool and for larger weekly classes. In this picture Ms. Ryan is teaching one of the weekly kindergarten classes. Can you hop on the letter that Ms. Ryan says? 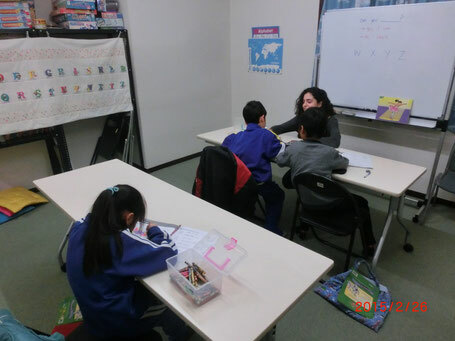 Our second classroom used for smaller weekly classes. Here Ms. Gabby is working with a weekly first year English class. Ms. Gabby is helping a student figure out the work in the textbook. Good luck you can do it! Our lobby is open and comfortable for the mothers waiting for their child to finish class or for children waiting for class to start or their mom to come pick them up. With a sofa, table, books and toys there are many ways to pass the time comfortably. 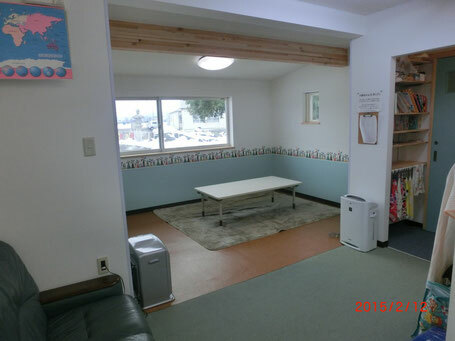 This room is also used for the two year olds in our preschool. What book are you going to read today? With our own fenced playground right outside our school our preschoolers can play safe and have a great time playing outside. Also weekly classes students can spend their time playing with their friends before and after class, on nice days that is. 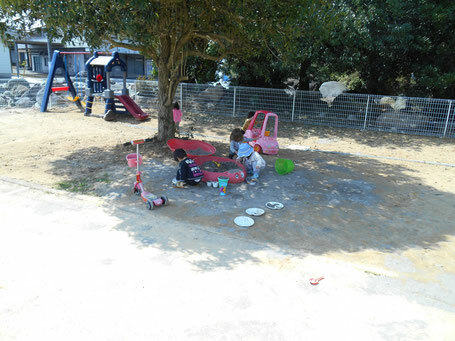 This wonderful tree makes a great shade for playing in the sandbox.